After fixing a lot of the bones of the house, I’ve been so ready to do something that I can actually see every day and that changes the look of the place. And if you remember the look of the floors when we moved in, it was obvious that redoing the floors was an absolute must. 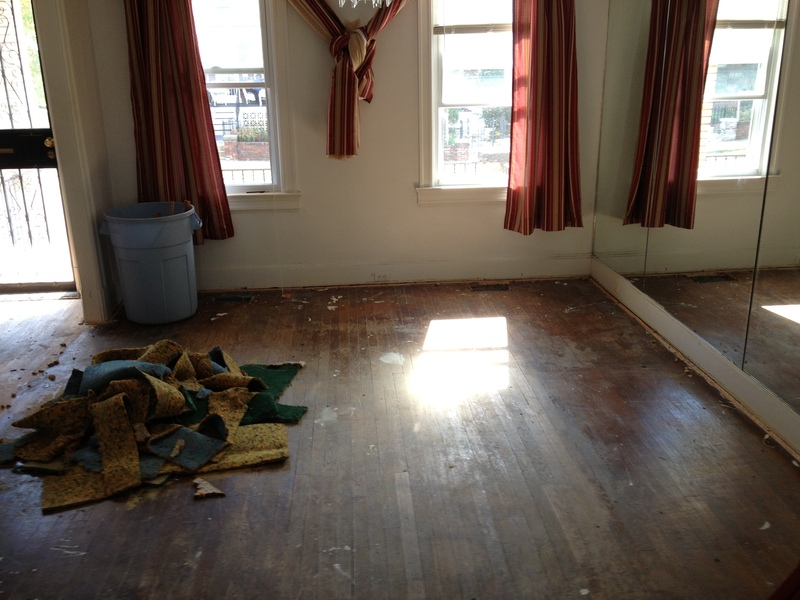 When we first saw our house, we both looked at each other, eyes wide, after seeing the … less-than-flattering carpeting covering the entire living space. 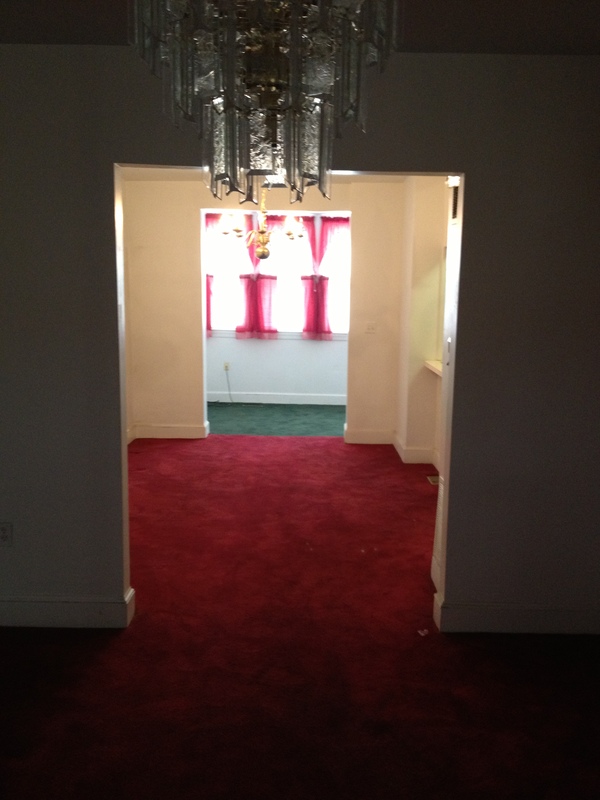 It wasn’t just that we hated carpet (which we mostly do) but the bright emerald and cranberry colors really got us. I mean, I love Christmas as much as the next guy, but I can do without it on my floors every day. So we knew the FIRST thing we had to do once we got the keys was to get it out. When you move into your own house for the first time, there’s really nothing like tearing, ripping and prying years of filth away. So within minutes of opening the door for the first time, that’s exactly what we did.